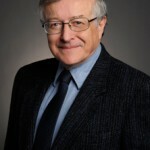 Professor Stuart, founding Associate Editor of the Canadian Theatre Review, has published extensively on Canadian Theatre, most recently in “Establishing Our Boundaries: English-Canadian Theatre Criticism”, and has special expertise in summer theatre in general and the Stratford Festival in particular. He has served as Associate Dean, Fine Arts and Chair of Theatre. An experienced adjudicator, workshop leader and director, his current research interest involves using improvisation to explore non-dramatic material and revitalize classic texts, and in developing material suitable for performance in schools.